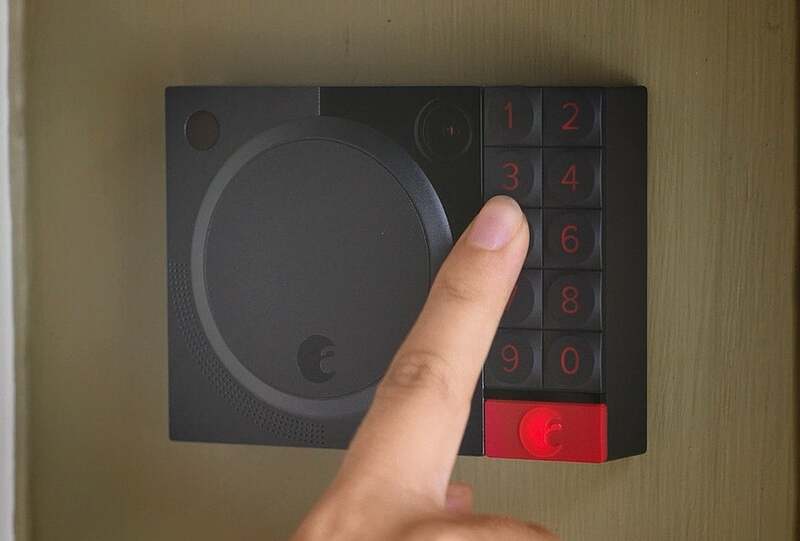 San Francisco start-up expands its product offering with three all-new home-security products. The smart door lock market is heating up, with Yale, Kwikset, and Schlage all announcing new products this fall. 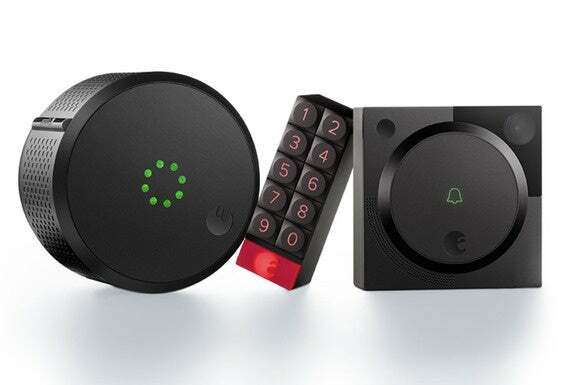 Startup August unveiled a new version of its August Smart Lock that supports Apple’s HomeKit technology today, and the company expanded its home-security offering with a numeric keypad and a doorbell camera. The August Smart Keypad installed adjacent to the August Smart Doorbell Cam. The August Smart Keypad allows users to control the door lock without using the Android or Apple smartphone that’s otherwise required. The new August Smart Doorbell Cam, with its 140-degree field of view and 960p video resolution, allows you to see visitors and their friends before granting access. The company has also improved the design of the lock itself, improving grip, and adding a magnetic faceplate as well as an indicator that provides visual verification of the lock’s state. As for the older version of the lock, it can be used with the new keypad and camera, but can't be upgraded with HomeKit. The interior side of the lock glows green to inform you that it’s currently unlocked. 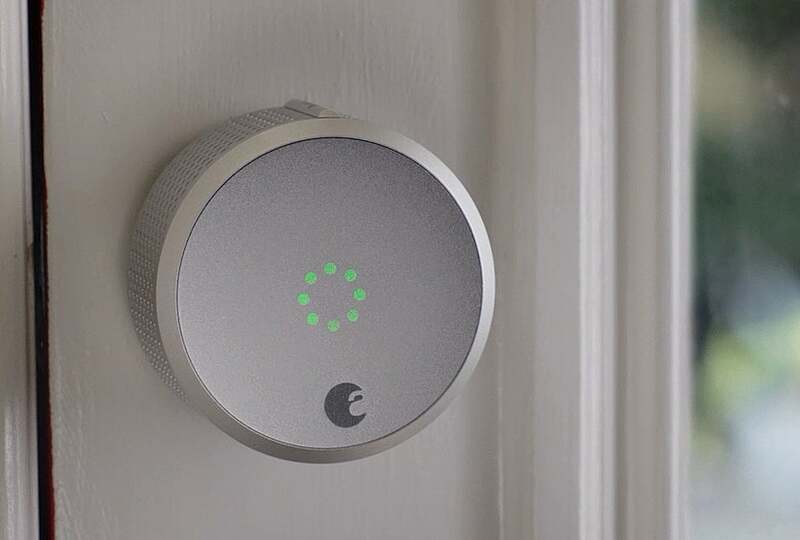 The August Smart Lock: HomeKit Enabled will retail for $229, the Smart Keypad will cost $79, and the Doorbell Cam will go for $199. All three products can be self-installed, but August has partnered with a number of professional installers for consumers who don’t feel up to the task, including Sears, Postmates, Pro.com, Handy, Fetch, Shyp, BloomNation, Envoy, Rinse, HelloAlfred, Wag!, Pillow, and Doorman. DIYers can pre-order any of the three new devices online starting today from August, BestBuy, or Amazon. August expects to be shipping within 4-8 weeks, and we’ll have hands-on reviews as soon as we can.